Mr. Richard Rusch has been an excellent addition to CPMS this fall as our first Campus Supervisor. Mr. Rusch can be found monitoring the hallways and lunch times, managing the chaos while building a repoire with the students. A former Cedar Park bus driver, Mr. Rusch already knew many of our students when he began working here in August. Before education, Richard was a long-time police officer. 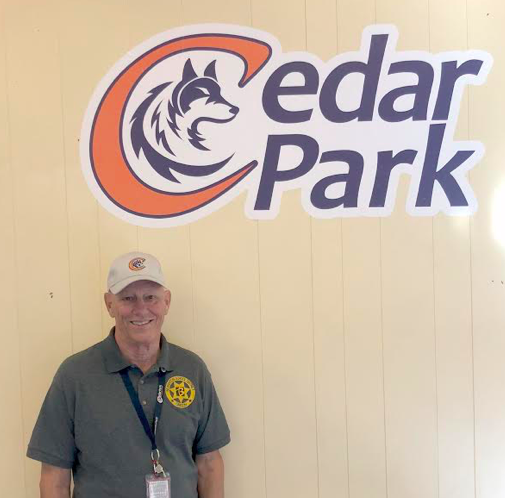 Cedar Park staff member, Katelynn Hitsman has been impressed, sharing, "Mr. Rusch has began making wonderful connections with our students and is making an impact on their attendance, behavior and daily lives." Older PostCedar Park Band Program Seeks Donors for "Music Mentors"